From my discussions with those caught for impaired driving, I have learned that facts and myths are often combined in ways that support impaired driving. A licensed driver who is impaired in the passenger seat, can not be charged with impaired driving? Myth? Fact? This entry was posted in General and tagged impaired driving, prevention on June 3, 2015 by Elaine Stoll. 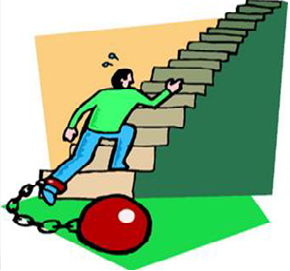 Avoiding the climb leaves you attached to the problem longer. Both women and men talk about having arguments with others. But few talk about problem solving with others. There are lots of articles and books on fair fighting, but I prefer to delete the phrase fair fighting and have people focus on problem solving and stop the fighting. This entry was posted in Articles, Family Issues, General, Relationships and tagged arguments, fighting, relationships on May 20, 2015 by Elaine Stoll.